For the first time ever, The Washington Post is airing a Super Bowl commercial during Sunday's game between the New England Patriots and the Los Angeles Rams. The 60 second spot will air during the fourth quarter, shortly before the two minute warning. According to the news outlet, the ad is narrated by actor Tom Hanks and the message focuses on the danger journalists face. The theme is, "Democracy Dies in Darkness." 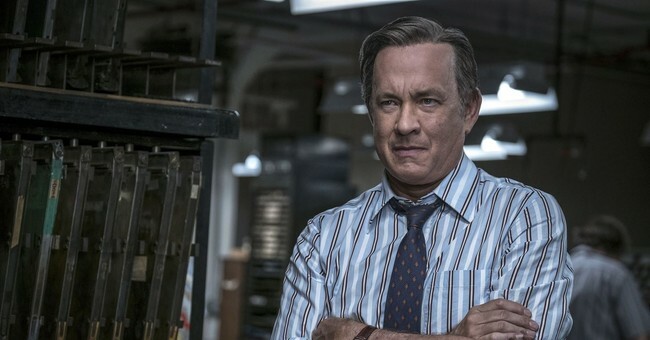 Hanks was chosen as the voice for the ad because of his role as former WaPo Executive Editor Ben Bradlee in "The Post," which focused on the paper's decision to publish the Pentagon Papers. The ad includes Images of freelance reporter Austin Tice who has been missing in Syria for six years; freelance columnist Jamal Khashoggi who was killed at the Saudi Arabian Consulate in October; and American War correspondent Marie Colvin who was killed by Syrian forces in 2012. Although a spokesperson for The Post refused to say how much the news outlet dropped on the ad, CNBC reported that CBS is charging $5.25 million for a 30-second slot. The ad is not currently online but WaPo said they will publish it on their website and social media channels once the Super Bowl game is over.